A lanky teenager travelling through time to assemble historical figures for his school presentation, a cop trying to save a speeding bus from exploding, a rookie FBI Agent infiltrating a gang of adrenaline charged surfer/robbers, a hacker/flying superhero who fights bad computer programs to save the human race- the man’s won the hearts of millions with his portrayal of diverse characters. 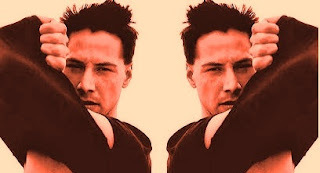 The guess is right - we are indeed talking about Keanu Reeves. The Canadian actor is celebrating his 47th birthday today (02.09.2011) and has enjoyed a successful career in Hollywood so far. The Matrix star’s most recent release is 47 Ronin, a tale of a band of 18th century samurai who set out for revenge after their master is murdered. The latest buzz has it that Reeves would soon get behind the lens. Sources from thewrap.com say that he is in negotiations with the China Film Group and Australian studio Village Roadshow Pictures. The Matrix Star might soon be directing and starring in a movie named Man of Tai Chi, a Mandarin and English language kung-fu story that the Hollywood A-lister also wrote. Keanu Reeves plays the villain in the movie which includes a series of intense fight scenes. The movie will also star Tiger Chen who was a member of the kung-fu team who helped Reeves prepare for his role in The Matrix. The one-quarter Chinese, one-quarter Hawaiian, half-English actor is a Canadian citizen and is most noted for reprising the fictional character of Thomas A. Anderson a.k.a Neo in the sci-fi action thrillers The Matrix Triology. 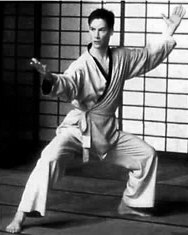 While the Matrix Trilogy redefined action movies and augmented the status of CGI in Hollywood, Keanu Reeves left his own mark with some incredible martial stunts and ofcourse his undeniably sophisticated look. His onscreen presence has earned him widespread acclaim and fan following. It is yet to be seen if Man of Tai Chi proves to be the matrix of a successful directorial career for Reeves.